Have you ever wondered who really owned Smart Water, Quaker, or even Ben and Jerry's Ice Cream? You might find the truth depressing. 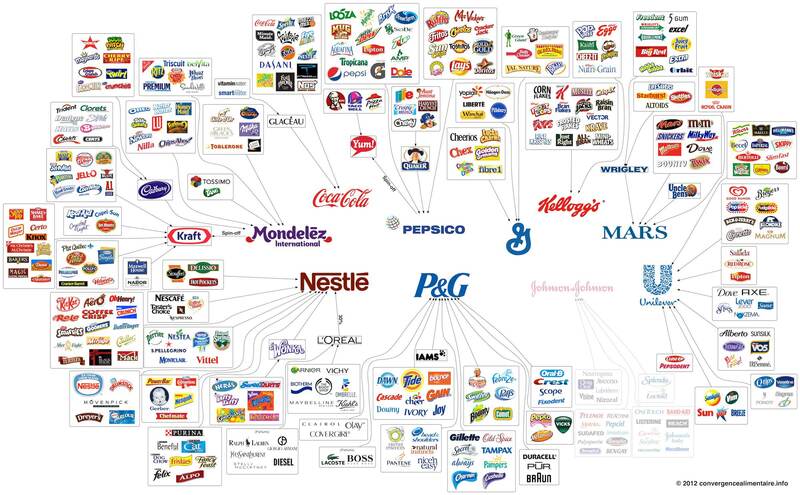 While you see thousands of brand name products on the market, most of them are owned by a handful of large corporations. 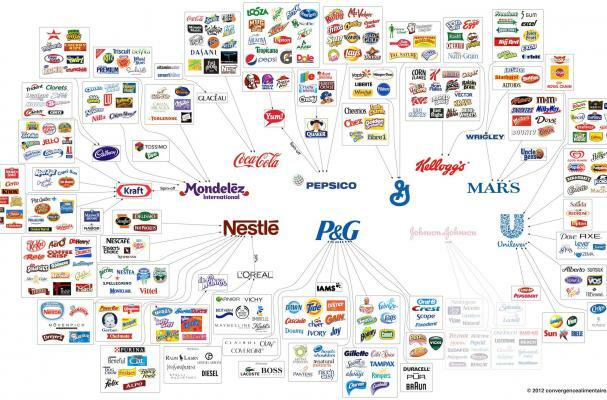 Next time you think you are making a better food choice or supporting a small company, do your research.